One of the most successful clubs in English football history having won back to back European Cups during the dizzy heydays of the Brian Clough reign, Nottingham Forest are desperately looking to rekindle those years under new boss Dougie Freedman. The Scot, who replaced club legend Stuart Pearce in February after a disastrous return to the City Ground for the former England Under 21’s manager have now put together an impressive run that has them leaping up the table towards the promotion places. After a sixteen year absence, we ask do Nottingham Forest have what it takes this year to make that final step back into the Premiership? In our new series of club profiles, we break down the Forest into its elements and make suggestions about what is needed for them to make that step and start back on that path towards glory. He may not be the most expensive player bought by Forest (Assombalonga for GDP5m) or the highest profile player (Lansbury – at Arsenal from the age of 8, Wenger commented that he “will be a big player” and capped by England at U16/U17/U19/U21 levels) or most creative (Antonio has scored 11 goals and has 11 assists this season), but Jamaal Lascelles is definitely a star. 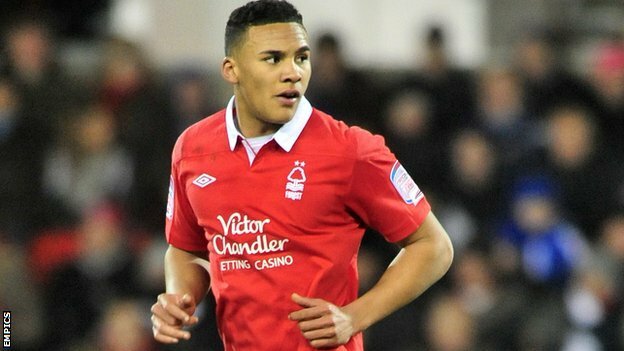 A product of the Forest youth system, Lascelles is a strong, commanding centre back that is quick and comfortable on the ball. In August 2014, Newcastle United bought him from Forest, and then loaned him back for the season. He has represented England at U18/U19/U20 levels and is now featuring for the U21 team. Forest have 2 very experienced and strong fullbacks in Danny Fox and Eric Lichaj. This season Forest have had their best win percentage when both players are in the starting eleven. Fox is a Scottish international who has also played for Celtic, Burnley and Southampton. Lichaj is an American international signed from Aston Villa. Scoring goals has not been a problem for Forest this season and they rank 5th highest in the league. Its also good to note that both the midfield have more than contributed their fair share of goals with Antonio and Lansbury the 2nd and 3rd top goal scorers respectively for the club this season. Overall the squad is good mix of experience and youth, and there is a great balance to the positions available, which means they can easily and quickly switch formations without having to overhaul the starting eleven. Kelvin Wilson (central defender) has the worst percentage of losses to games played. The 4-1-4-1 formation is heavy on defense but the team is 9th worst in the league for goals against. Historically the formation most used by Championship teams in 4-4-2 (this is especially true for the teams promoted over the last 5 years). However, with Forest’s squad I would make a slight change to their 4-1-4-1 and make it a 4-2-3-1 with a flat back 4 and the 2 central midfielders split as 1 deep lying player and the other a box-to-box player. The 3 attacking midfielders would have a central playmaker and the 2 wide men as inside forwards (keeping the opposing full backs from moving forward). 4-1-2-2-1 V – drop the deep lying midfielder between the defence and midfield, with the attacking central midfielder dropping back in the central line. Allows the forward and wide men to stay high and pick up cleared balls and counter attack. 4-4-1-1 – Drop the wide men back to provide deeper support and form 2 banks of 4 to break down any opposing attacks. To accommodate this formation then a few personnel would need to change. Kelvin Wilson would drop to the bench and Michal Mancienne moved into central defence. Michael is an experienced defender who came through the Chelsea youth ranks. Bring Gary Gardner off the bench and into the deep lying central midfield role. Gary is on loan from Aston Villa but has the highest win percentage to games played in the whole squad. Britt Assombalonga is out for the season and so should be replaced by the long serving Dexter Blackstock, with Matty Fryatt on the bench as backup forward. Both players have great scoring and assists records but Blackstock edges it for both percentage of games won and percentage of games lost (in fact Forest lose less whenever Blackstock is in the starting eleven). Recall Djamel Abdoun from loan. He has one of the lowest loss percentages per games played in the squad and would be great cover for the inside forwards (potentially replacing Chris Burke as Abdoun better suited for the inside forward role). Previous Entry Juan Roman Riquelme – The Last True Playmaker?